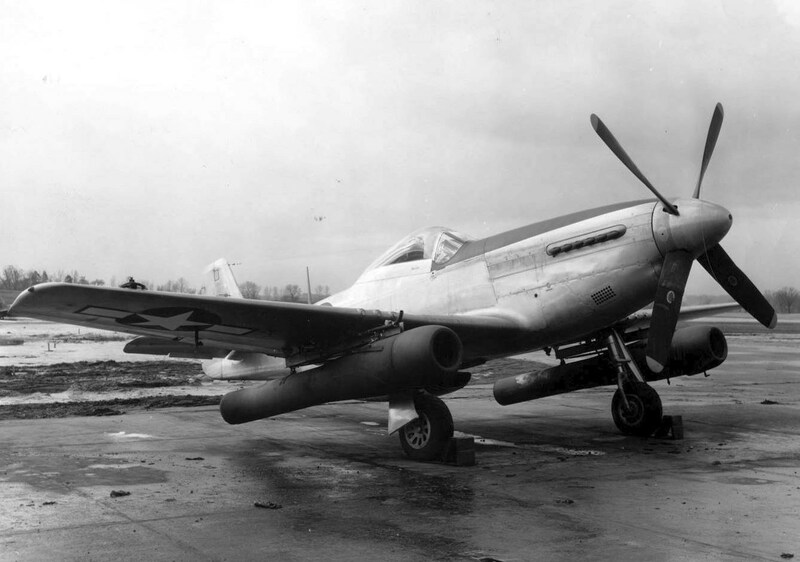 P-51 Mustangs with JET ENGINES!! 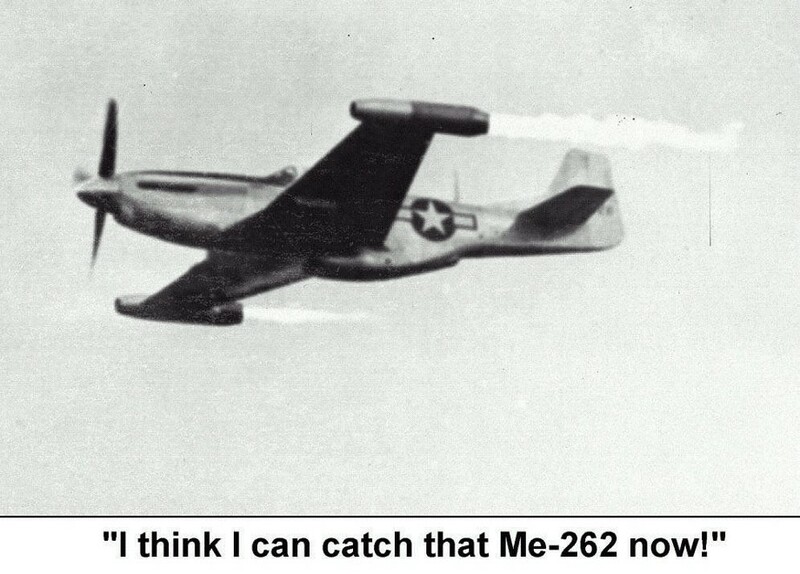 The picture with "I can catch that Me-262 now!" 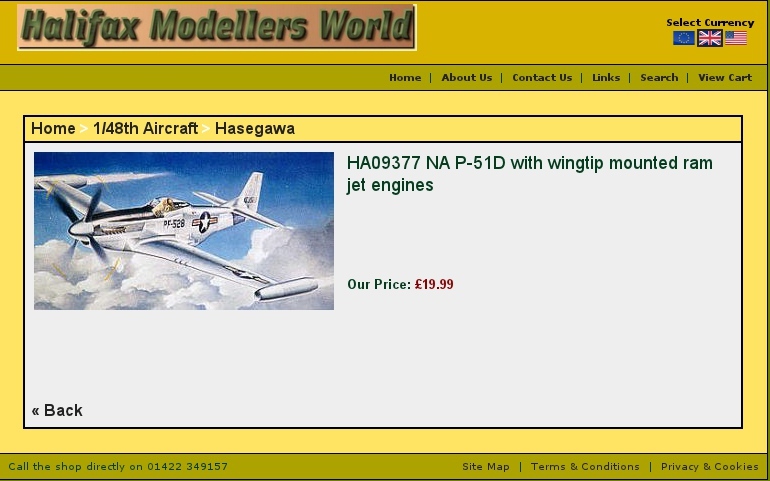 may look fake -- but it was real! 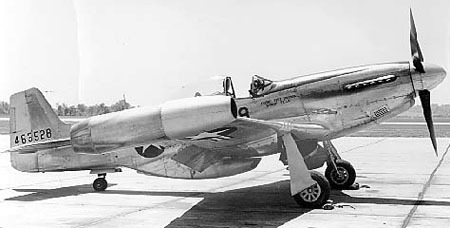 More info: Mustangs with RAM-JET engines.